Do you enjoy getting up every day, no matter what’s going on in your life? Do you realize how stress and doubt affect the trajectory of your ideal life? Do you just love your career and life? The secrets to success we’re all looking for boil down to our own patterns of thought. The question is, “how’s it working for you”? Your thoughts can either serve your goals and quality of life or they can sabotage your journey. 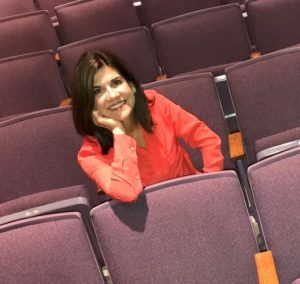 My coaching program introduces a completely different way to look at stress, procrastination, perfectionism, relationship problems, and goal setting. We are going behind the scenes to look at the emotional component that is unconsciously impacting your life choices. These unconscious influencers are like a software program running in the background of your life without you even realizing it. You can’t change what you don’t know. The better than good news, the hallelujah news is that our attitudes, habits, and even life stresses can be retrained for happiness and success. Our inner world really is reflected in our lives. Why? And why is that the basis of my coaching system? Well if your inner world is reflected by your outer world (countless research has proven this) then you need to know what your inner world (subconscious) is thinking and how your stress and anxiety affect this thinking. 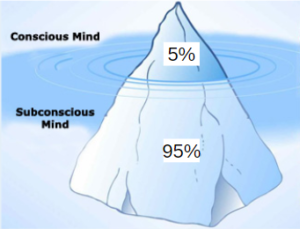 Put it this way unless your inner world which is your subconscious, (95% of your programming stems from your subconscious) has the same goals as your conscious mind (5%) all the goals and dreams you have will not work. Even though I am not strong in mathematics I easily deduced that I would rather have access to 95% power (subconscious programming) than 5% (conscious programming/logic). So who here knows how to talk to their subconscious? Sounds a little “New Agey? Well it’s not, it’s science and research-based. Since I use modern brain technology in my Tap into Potential coaching (TIP) you achieve more with less effort. The techniques I employ tap into the unconscious beliefs that sabotage your growth and positive quality of life. It’s not that hard to identify these beliefs; however, what is nearly impossible is to take these downloads that aren’t serving you and not only abort them but replace them with new messages that work to empower you to your fullest. Tap into Potential coaching (TIP) helps You get from where you are to where YOU want to be faster and with more ease. The process begins with identifying and eliminating the effects of stress, doubt, and fear in one’s life. AND create what YOU crave. Are you ready to experience Different?